The Australian Lowline Cattle Association is proactive in the promotion and development of the Australian Lowline breed whilst continuing to protect the purity of this unique breed of heritage beef cattle. FULL Membership – for those seeking to be involved in the ownership or registration of Australian Lowline Cattle. 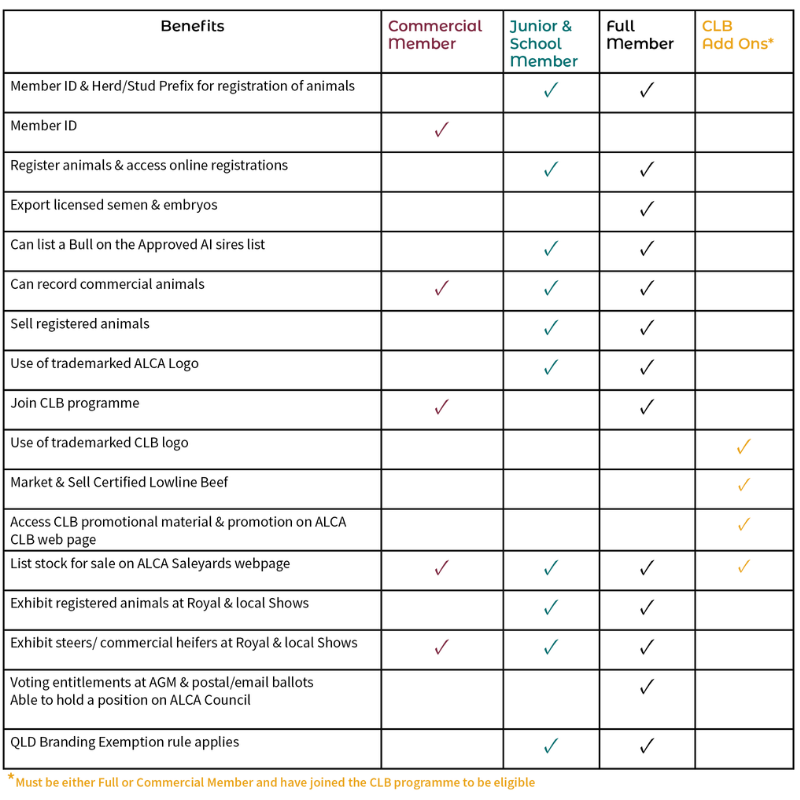 This is the highest level of membership available enabling a variety of breeding and marketing pathways. Also through registration of your Lowlines, you are actively participating in the promotion, preservation and viability of this unique heritage breed of beef cattle. COMMERCIAL Membership – allows for the record of ownership of registered Lowline bull/s for our commercial Lowline producers enabling them to produce Certified Lowline Beef. While commercial members may not register any progeny, their registered bulls can be used as sires by Full, Junior and School members and those progeny may be registered. JUNIOR Membership – is a restricted membership category to enable youth to commence breeding Lowlines and/or participate in our Youth Activity programs. Junior membership is available if between the ages of 8 and 21. SCHOOL Membership – a special membership category created for individual schools. It is designed to foster agriculture programs within the school environment and facilitate broader learning experiences for the students. ALCA is very proud to offer support to the community in this manner.